Dent-Café :: Neville's Color Atlas of Clinical Oral Pathology! 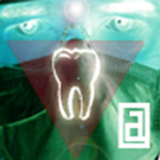 Dent-Café Forum Index » ¨°ºO Espace étudiants Oº°¨ » Espace Téléchargement » Neville's Color Atlas of Clinical Oral Pathology! Neville's Color Atlas of Clinical Oral Pathology!